By in Uncategorised on 7th May 2015 . As you may have recently noticed, your Microsoft Lync Basic now bears the name Skype for Business Online. This is a very recent development wherein this Microsoft product is now sporting a new brand. This was an update that BIT originally thought we would be able to control rolling out to State users, but that was not the case. Microsoft’s automatic update process is doing it instead. The most noticeable differences are the new interface appearance, logo and color scheme. 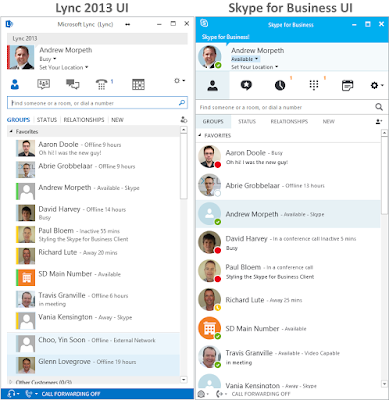 All other functions of Skype for Business will be the same as the previous Lync version. We are sorry for any inconvenience or confusion this unexpected update has caused for your agency and employees. A reboot of your computer should change Lync to Skype for Business. If your Lync has not been updated to Skype for Business after the reboot, please contact the BIT Help Desk for assistance. 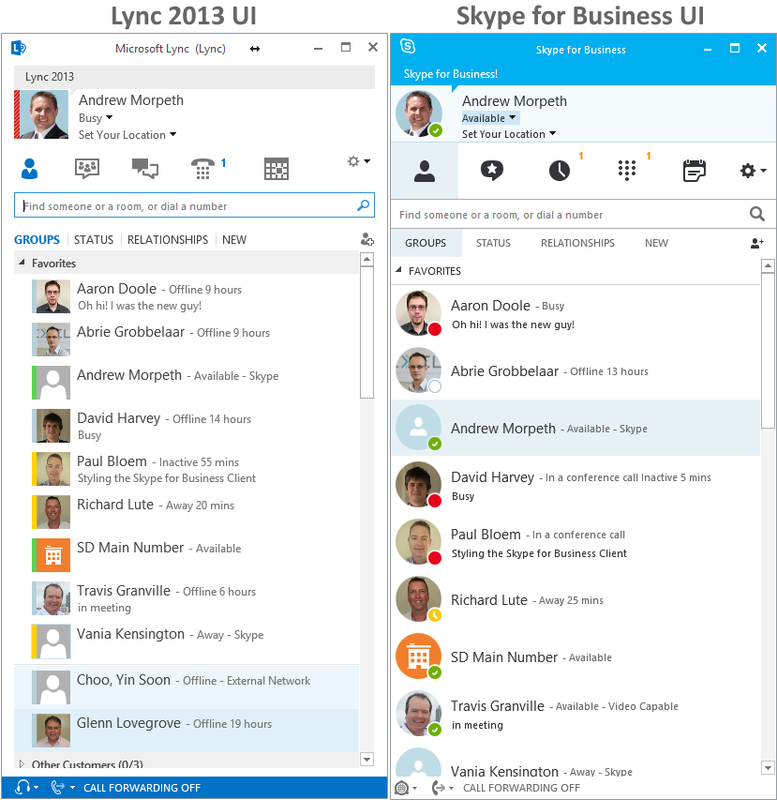 The below image gives an example of the old Lync interface (left) compared to the new Skype for Business interface (right).